Analyze Tons of Data With a Couple of MOUSE CLICKS! Create interactive EXCEL DASHBOARDS without having to memorize Formulas or write VBA Macro code! 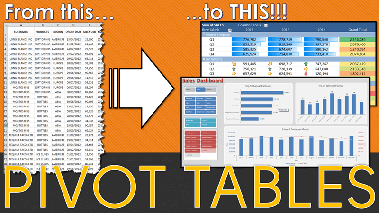 How to set up your data and create a Pivot Table in less than 3 minutes which will increase your efficiency! How to put your key business metrics like Year to Date Sales, Monthly Variations and Top 10 Customers in an interactive Pivot Table, taking your analytical skills to another level! How to create an Interactive Dashboard with Slicers & Pivot Charts that will WOW your boss and get you noticed by top Management! Pivot Table tips & special Bonus attendee material that you can keep and use to become better at Excel straight away which will skyrocket your personal development! I was so scared of Pivot tables but WOW, this webinar has just floored me with what can be done! This is going to change my life! This is great! I can't wait to simplify some of the tasks in work for my boss! The way John explains the stuff makes so easier and fun to learn, now I can handle Pivot Tables more confidently! Thanks John, you've changed the way I use Excel for ever! 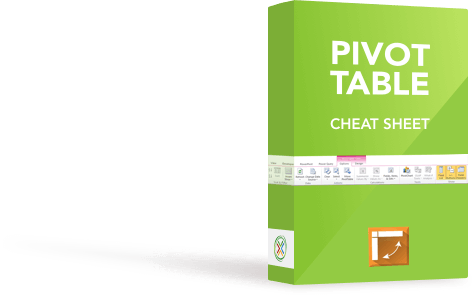 Sign up to this webinar and you will receive an Excel Pivot Table Cheat Sheet to help you get started!